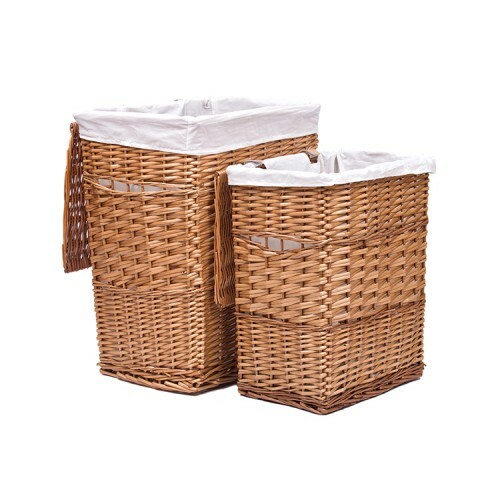 Set of 2 rattan wicker hampers with ivory muslin lining. Lining is removable for easy cleaning. Size: 16" x 12" x 24"
Size: 14" x 10" x 20"
This Natural Wicker Hamper Set will bring back memories and is great for bed and bath alike.